Talib Kweli will deliver a special Halloween edition Bowl Train DJ set. Maya Rudolph (SNL) and Gretchen Lieberum will unite for a performances of their Prince cover band: Princess. Maya Rudolph (SNL) and Gretchen Lieberum will perform as Princess for the second night of their run at Brooklyn Bowl (early show). Thank You Global presents a Michael Jackson ‘Thriller Night’ with DJ Spintelect and special guest, MEKA spinning their spookiest (late show). Rock and Roll Playhouse presents a Halloween Party with the music of the Grateful Dead (early show). Preservation Hall Jazz Band will give a special Halloween concert (late show). Relix and Brooklyn Bowl presents Phil Lesh and The Terrapin Family Band with special guests, Rob Barraco, Nicki Bluhm, Robert Randolph, Ross James, Alex Koford and Grahame Lesh. 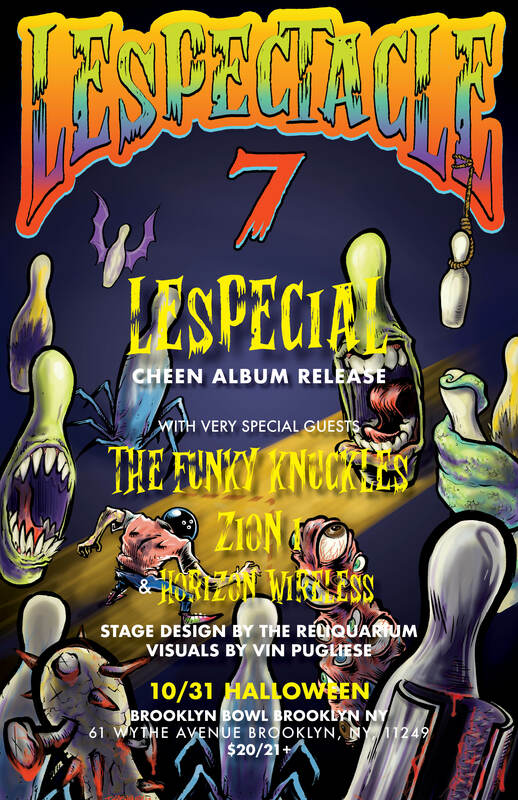 lespecial presents the Lespectacle VIII: Cheen Album Release Featuring The Funky Knuckles, Zion I, Lespecial and Horizon Wireless. This experimental, multi-media performance will be the 7th edition of Lespectacle, to celebrate the release of ‘Cheen,’ Lespecial’s sophomore album. Check it out for a funkadelic night of genre-bending rhythm, blues, hip-hop, new wave, dubstep, electronic, metal and more.